Neil Querengesser teaches courses in Canadian and international English literature, poetry, and literary theory. His primary area of research is Canadian literature. 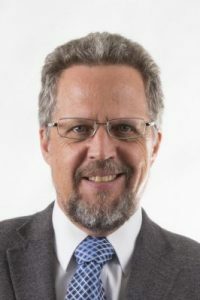 He has published several reviews and articles for Canadian Literature, Essays in Canadian Writing, Canadian Poetry, University of Toronto Quarterly, Ariel: A Review of International English Literature, Canadian Ethnic Studies, Wascana Review, and English Studies in Canada. 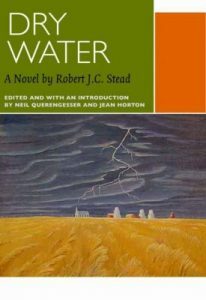 He recently co-edited an authoritative edition of Robert J. C. Stead’s Dry Water. “Formally Enlightening.” Omnibus review of Apostrophes VII: Sleep, You, a Tree; A Pirouette and Gone; and Praha, by E. D. Blodgett. Canadian Literature 214 (Autumn 2012): 138-39. “Those Voices Speaking Now.” Rev. of Rudy Wiebe: Collected Stories, 1955-2010, by Rudy Wiebe. Canadian Literature 214 (Autumn 2012): 191-92. “The Sacramental Poetry of Susan McCaslin.” Canadian Poetry: Studies, Documents, and Reviews 67 (Fall/Winter 2010): 104-15. “On the Way with Wayman.” Omnibus review of Boundary Country, A Vain Thing, and Woodstock Rising, by Tom Wayman. Canadian Literature 207 (Winter 2010): 181-83. “Enlightening Essays.” Omnibus review of Mary di Michele: Essays on Her Works ed. by Joseph Pivato; and The Ivory Thought: Essays on Al Purdy, ed. by Gerald Lynch, Shoshannah Ganz, and Josephene Kealey. Canadian Literature 206 (Autumn 2010): 177-78. “Gone Albertan.” Rev. of Wild Words: Essays on Alberta Literature, ed. by Donna Coates and George Melnyk. Canadian Literature 205 (Summer 2010): 148-50. Ed. with Jean Horton. Dry Water by Robert J.C. Stead. Ottawa: U of Ottawa P, 2008. “Words across the West.” Omnibus review of Blood and Bone, Ice and Snow, by Glen Sorestad; Wood Mountain Poems, by Andrew Suknaski; and Writing the Terrain: Travelling Through Alberta with the Poets, ed. by Robert M. Stamp. Canadian Literature 198 (Autumn 2008): 175-76. “Abiding Space.” Rev. of The Occupied World, by Alice Major. Canadian Literature 193 (Summer 2007): 164-65. “Printing Their Proud Hoofs.” Rev. of Horse: How the Horse Shaped Civilization¸ by J. Edward Chamberlin. Canadian Literature 193 (Summer 2007): 147-49. “Diverse Explorations.” Omnibus rev. of The Blueness of Light, by Louise Dupré, trans. Antonio D’Alfonso; The Unsaid Passing, by B. W. Powe; and The Fertile Crescent, by Karen Shenfeld. Canadian Literature 193 (Summer 2007): 129-31. Rev. of The Canadian Modernists Meet, edited by Dean Irvine. Ariel: A Review of International English Literature 38.2-3 (April-July 2007): 207-10. Rev. of Seed Catalogue, by Robert Kroetsch with wood engravings by Jim Westergard. Canadian Literature 190 (Fall 2006): 179. Rev. of Yours, Al: The Collected Letters of Al Purdy, edited by Sam Solecki. University of Toronto Quarterly 75.1 (Winter 2006): 388-89. “Domestic Science in the Poetry of Alice Major.” Canadian Poetry: Studies, Documents, Reviews 56 (Spring/Summer 2005): 53-64.